Dubai has been growing south along its coast from the original harbour, much of the famous skyline is in Jumeirah and Marina. Together with a friend I travelled north from the Marina area where I am staying by metro and explored the markets and souks. We started in the fresh produce section of the market. These bags of rice caught my eye in particular. As most of Dubai is a desert, all the produce (bar the fish) are brought into the city by boat – dhows to be precise. 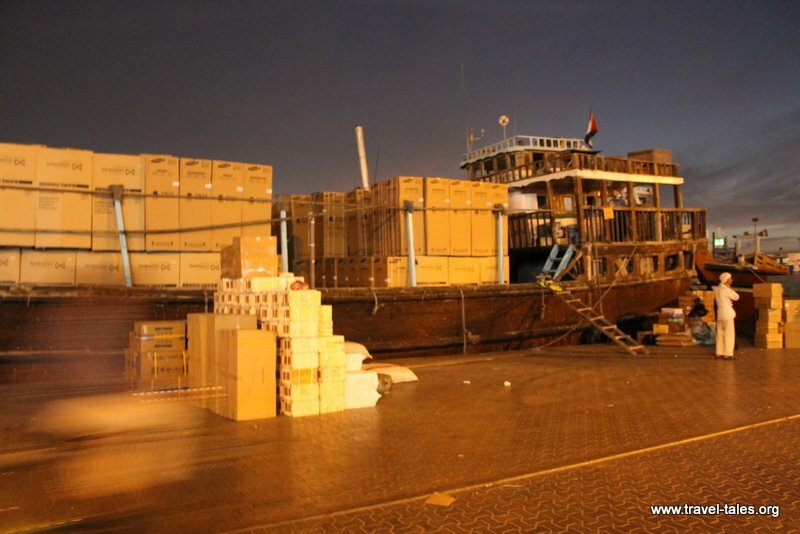 We passed the dhow docks later in the day and they truly are the work horses of good transportation around there. We explored the peninsular beyond the touristy souk area finding little mosques and nice little buildings. Of course we did end up in the Gold Souk. It no longer focusses on gold exclusively and is quite touristy. I had been warned about lots of people wanting to harass me in the markets and that I would need to be careful of hawkers, however I would say that it was no worse than any Indian markets I’ve been to and ignoring people trying to sell me fake Prada handbags wasn’t really that difficult. I chose not to take any pictures to avoid showing interest in anything when I knew I wasn’t going to buy anything. We then took the Water Taxi across the creek to the Old Souk. 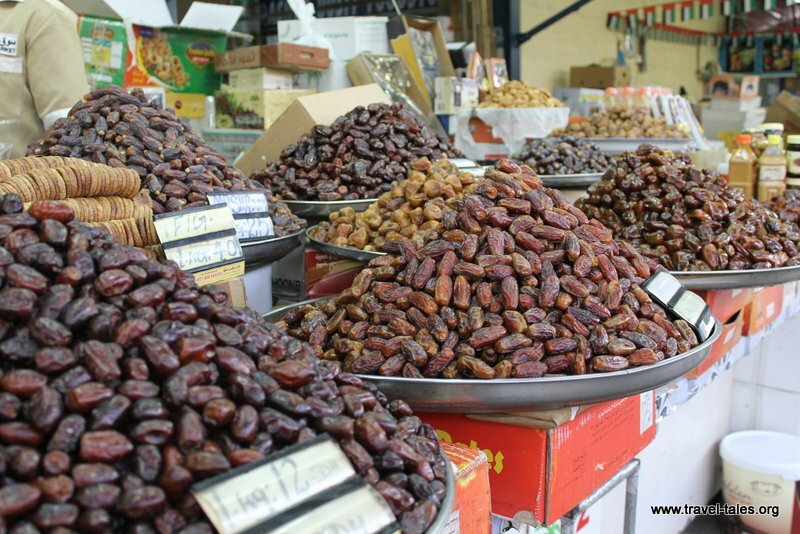 The Old Souk is a similar Arabic market area as well as the home of a Hindu temple. Behind the temple is a very narrow alleyway along which you can buy flowers, red stringsweets and other trinkets for pooja. It was just too tight to get out my camera, the aroma of that alleyway took me straight back to the aromas of temples in India. Nice set of photos, Tash.